Routine maintenance is recommended for the average car and driver, but you’re nowhere near average. When driving a luxury vehicle, such as an Audi, Mercedes, BMW or Porsche, you expect to have a higher quality driving experience. You know that your luxury vehicle performs at the top of every category, but in order to keep your car running at its very best, you need to ask one question: "How often do I really need to bring my car into the shop?" Think of your top-performing vehicle as a world-class athlete. Consider this: athletes that are known for being the best in their sport work out and practice more than average athletes. They also consult with their doctors and trainers more often too. These athletes know that, in order to remain at the top, they have to go beyond what is recommended because they have higher than average performance expectations. In order to keep a luxury vehicle performing consistently at its best, owners need to be diligent about bringing it in for a checkup more frequently than the manual suggests. How often that is depends on the type of driver you are and the type of relationship you have with your vehicle. Feel free to talk with us about your driving expectations so we can help you understand the maintenance needs of your vehicle and develop a plan to make sure you get the very best driving experience. At Star Class Motors, we have the knowledge, tools, and passion for what it takes to ensure a vehicle’s overall health. We differ from the discount service stores because, when you just go in to get the oil changed, that’s all they are going to do, while we will take the time to do a full inspection at a fair price. We want our customers to know that when they purchase a luxury vehicle, we will provide the service a luxury vehicle deserves. As a small business, we offer a more personal experience with our customers and, we understand you don’t want to go through a chain of employees to know what is happening to your vehicle. At Star Class Motors you have the ability to walk in and speak directly to the guys that are turning the wrenches themselves. With a love of luxury vehicles, we will always make sure yours is performing at its best. 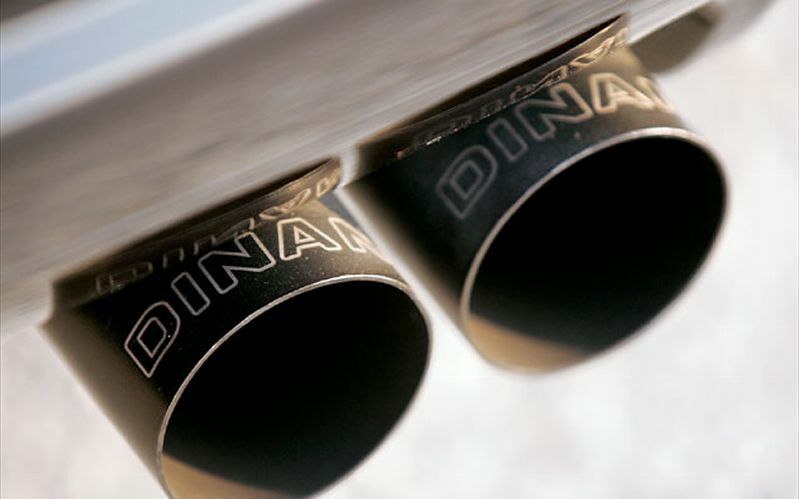 Star Class Motors is proud to announce that it is now an Authorized Dinan Performance Center. As a well established North American premiere BMW tuner, Dinan develops, manufactures and markets a comprehensive line of high performance products and systems. Products are distributed through a nationwide network of Authorized Dinan Performance Centers that include select BMW Dealerships and Independent BMW Service/High Performance facilities. With a passion for BMWs, Dinan is dedicated in designing and producing the most innovative and performance driven BMW products on the market. With the same mindset as Star Class Motors, Dinan Performance knows that BMW owners view their cars as more than just an everyday vehicle. When customers want top performance in their BMW, they turn to Dinan first, and when customers want the very best in service in the Omaha area, they turn to Star Class Motors. Star Class Motors makes top of the line service to its customers its first priority, and by becoming a Dinan Performance Center, Star Class Motors’ customers now have access to Dinan’s expert engineers to ensure the best quality and who outperform the rest of the BMW aftermarket industry. This allows Star Class Motors to differentiate itself from any other luxury performance service center in the area. Dinan Performance has an industry leading warranty program, top quality products, and solid engineering, which has helped it become a household name among BMW driving enthusiasts, which is now available to all of Star Class Motors’ BMW clients. Every product from Dinan comes with the best warranty in the BMW aftermarket business, with a BMW factory matching 4 year or 50,000-mile new car warranty. This allows Star Class Motors’ BMW owners to have confidence in Dinan upgrades: they proudly stand behind their work and their warranty guarantees that you’ll be happy. In fact, BMW upgrades are the only type of upgrades that Dinan creates. This helps them remain experts in the field, knowing BMWs – quite literally – from the inside out. Customers can now enter Star Class Motors, knowing they are are getting the very best upgrades for their BMW before anyone else. Purchasing a luxury vehicle such as an Audi, BMW, Porsche, Mercedes-Benz, or Volkswagen comes with the expectation that you’ll be driving top of the line quality. These vehicles perform at the top of every category— comfort, speed, control, sound, and leave nothing to sacrifice. When you drive a car that meets these high standards, your standards, it inspires confidence in your purchase because you know you are driving the very best. Since you drive a top performing vehicle, you want to keep it that way. We’re not just talking about new tires and oil changes, here. Every now and then, regardless of your driving experience, every baby needs a fine tuning. In order for service shops to provide the level of quality service your vehicle requires, they need to have vehicle specific diagnostic tools. There’s no way around it. Almost every vehicle built within the last twenty years has a computer linked to a specific part within the automobile. And, what started as placing one computer in a car to understand why the check engine light came on, has since expanded many computers throughout the entire vehicle. The luxury performance vehicles that we service now have hundreds of computers, all connected to different areas of the car. Without brand specific OEM software and diagnostic tools, a service technician can only fix what he can see, and may not have the specific training required to work on your vehicle. You wouldn’t go to a doctor with those credentials, would you? Please don’t send your car to one. Star Class Motors is proud to announce that we’ve added new OEM diagnostic software for Audi, Volkswagen and Porsche to our ever growing line of European luxury performance vehicles that we service. As the performance luxury market continues to grow, so do the demands of service shops that have the ability to properly service brands like Audi, Porsche, Mercedes, and so on. Star Class Motors has the tools, training, ability, and desire to service performance luxury vehicles without needing to outsource to the closest dealership. And if you’ve ever brought your car to the dealership for service, you know how it feels to speak with a chain of people who don’t even let you see your car. At Star Class Motors you can walk in and speak directly to the person operating on your vehicle. Plus, every time you bring your car into the shop you are guaranteed a full inspection because we understand how important the meaning of quality is to our customers. As a small business with a love of foreign cars, we’re not just great at what we do, we’re passionate about performing at the top of our class, just like your car. Get news, updates and the latest vehicles for sale.